Facebook has published its internal workplace harassment policy in part to help other companies, chief operating officer Sheryl Sandberg has said. The policy's definitions of harassment include unwelcome sexual advances, threats, insensitive jokes and innuendo. It states that it is no defence to pass off an offensive comment as a joke or to blame the influence of alcohol. It also says harassment reports should be responded to within 24 hours. A team will then investigate the allegations but will not be responsible for the final outcome, which can range from no action to the accused employee being fired. 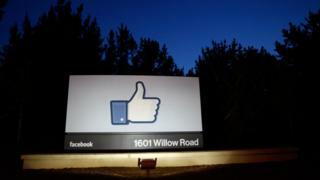 Facebook also says it may consider an employee to be in breach of the policy even if their behaviour is not against the law. "We need systemic, lasting changes that deter bad behaviour and protect everyone," Ms Sandberg wrote in a Facebook post. She added Facebook did not necessarily believe the policy was "perfect". "The more organisations are open about their policies, the more we all can learn from each other," she wrote. Ms Sandberg has previously recounted experiences of sexual harassment during her career - ranging from a hand on her leg during a meeting, to a man she had refused to have dinner with banging on her hotel room door until she called security. "I didn't work for any of these men," she wrote. "But in every single one of these situations, they had more power than I did. That's not a coincidence. It's why they felt free to cross that line." Does Silicon Valley have a sexism problem? Harassment in Hollywood: Who's been accused?